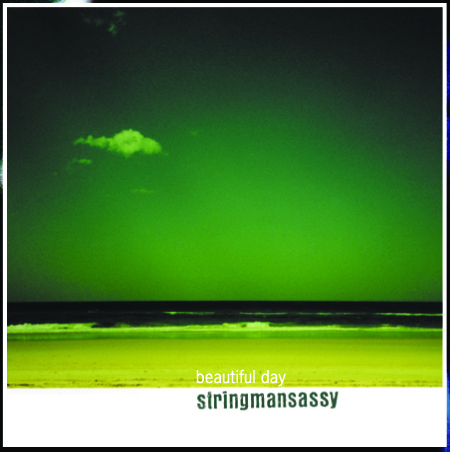 Beautiful Day is the second full-length CD recording from the performance duo stringmansassy. The CD showcases guitarist Aaron Hopper and vocalist Kacey Patrick and their musical virtuosity, their songcraft and above all, their joy of music. It is an exciting and unique recording, subtly fusing jazz and folk sensibilities, and many of the tracks were written whilst the duo traveled and performed overseas during 2000/01. Beautiful Day was recorded and produced by Ben McCarthy (Pete Murray band/Kate Miller-Heidke band), at Subtone Studio’s, Brisbane in the basement of a mixed at Rocking Horse Studio’s Byron Bay and mastered by Don Bartley at Studios 301, Sydney. Beautiful Day contains 8 inspired and skilfully written original works that move through a variety of moods and themes, augmented with 2 carefully arranged versions of songs by Brazilian master songwriter, Luiz Bonfa. The title track ‘Beautiful Day’, is perhaps stringmansassy’s best known and loved song. It was embraced by Australia’s national radio network (the ABC) and and continues to be heard on high rotation, throughout the country.